Legal Zoom, a respected provider of Online Divorce form services, receives the highest possible rating from TopConsumerReviews.com. LegalZoom has helped more than one million customers prepare legal documents at the lowest possible cost... We’re pleased to give LegalZoom our best-in-class rating among online divorce forms providers. TopConsumerReviews.com recently gave their highest rating to LegalZoom, an established provider of Online Divorce form services. While it’s often stated that more than half of all marriages end in divorce, few people realize that nearly 95% of those divorces are uncontested, where both parties are in agreement with respect to division of marital property, custody of the children, and any spousal support to be provided. For couples in this situation, using an online divorce forms service can save them a significant amount of time and money in legal fees. Naturally, when choosing an online divorce service, it is critical that customers make sure to choose a provider that meets all applicable legal standards in their state of residence. To find out more about LegalZoom and other online divorce form providers, including reviews and comparison rankings, please visit the Online Divorce category of TopConsumerReviews.com at http://www.topconsumerreviews.com/online-divorce/. Co–founded in 2001 by attorney Robert Shapiro, LegalZoom offers a cost-effective, convenient way to address most common legal needs. LegalZoom provides a wide range of documents such as Patents, Trademarks, Powers of Attorney, Living Wills and traditional Wills, Incorporation, Living Trusts, LLC Formation, Small Claims, Divorce, and many more. 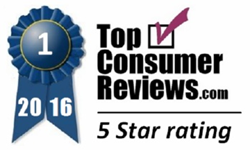 TopConsumerReviews.com is a leading provider of independent reviews and rankings of hundreds of consumer products and services. From Online Divorces to Dating Services and Background Checks, TopConsumerReviews.com delivers in-depth product evaluations in order to make your purchasing decision easier.